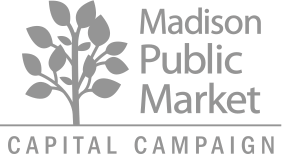 Special thanks to our guest blogger, James Shulkin, member of the Madison Public Market Advisory Council! It’s been just over a year since the inception of the MarketReady Program, an effort to prepare a number of talented chefs, makers and other entrepreneurs with the skills needed to create successful businesses. Funded by the City of Madison and launched in partnership with North Side Planning Council, FEED Kitchens, Wisconsin Women’s Business Initiative Corporation and Dane County University of Wisconsin Extension, MarketReady provides business training, mentorship, and start-up capital ($37,500 in 2018) to a diverse group of thirty area merchants. The goal has always been that, with the right kind of encouragement, these individuals might some day become successful vendors at the highly anticipated Madison Public Market. As 2018 comes to a close, we look back on the resounding success of both the MarketReady Program and the individuals that have contributed so much to these efforts. The MarketReady vendors are a special group. They are mostly women (63%) and people of color (83%). Thirty three percent (33%) are first generation immigrants. In fact, MarketReady focuses on supporting communities that face structural barriers to business ownership. Specifically, the program was created to Encourage and stimulate the creation and acceleration of businesses owned and operated by women, persons of color, the economically disadvantaged and others in need of a new career path. The majority of these businesses offer food products, with some selling textiles, artwork, body care products or other services. You may be familiar with some of the more visible vendors such as Laurel Burleson (Ugly Apple Café), Josey Chu (Madame Chu), Luis Dompablo (Caracas Empanadas), Jasmine Banks (Perfect Imperfections), Donale Richards (Off the Block Enterprises) and Monica O’Conell (Curtis & Cake), to name a few. All of the MarketReady merchants can be found here. Led by Ian Aley, MarketReady Coordinator, and Michael Miller, City of Madison Business Assistance Specialist, the organization’s staff provides and arranges for training of all kinds, providing financial services, technical assistance, referrals and access to micro-grants. Partnerships with the University of Wisconsin Law & Entrepreneurship Clinic, the law firm Boardman & Clark and Heartland Credit Union have provided consultation and coaching to participants. The MarketReady vendors have also given back to the community, including directly to those future Public Market visitors particularly anxious to sample product offerings. To date, more than 2,000 people have attended three “Taste of the Market” events featuring many of the vendors. In addition, 14 MarketReady participants offered 37 classes at Meadowridge Public Library, providing an opportunity to test recipes, make sales, and connect with neighbors across the city. Many of the Madison Public Market’s MarketReady merchants are already up and running, ready to make your holidays shine! You don’t have to wait for the Market to open to experience the unique, high quality products and gifts these businesses have to offer this holiday season. Support small, local businesses right here in Madison and you’ll find unique gifts, catering, and more. You bring the guests, they’ll bring the incredible food! These MarketReady merchants provide quality catering for corporate or private events large and small. Find unique gifts for everyone on your list while supporting our local economy and strengthening our communities. Many MarketReady merchants are offering special products and discounts for the holidays. Check out the MarketReady Holidays page for all the details.